SHANGHAI -- The Chinese owners of the UK's MG sports car brand plan to invest heavily and launch new models to grow MG around the world, with Europe being the main target market. 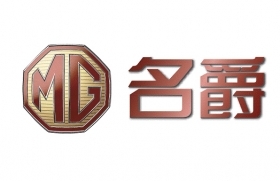 Shanghai-based parent, SAIC Motor Corp, owner of MG Motor UK, has already spent 1 billion pounds in resurrecting MG and its sister brand Roewe, formerly Rover, and will now spend another 2.2 billion pounds ($3.6 billion) to boost MG and Roewe sales to 700,000 by 2015. Last year, the two brands sold 160,397 cars, mainly in China. Only 2,000 were exported abroad. 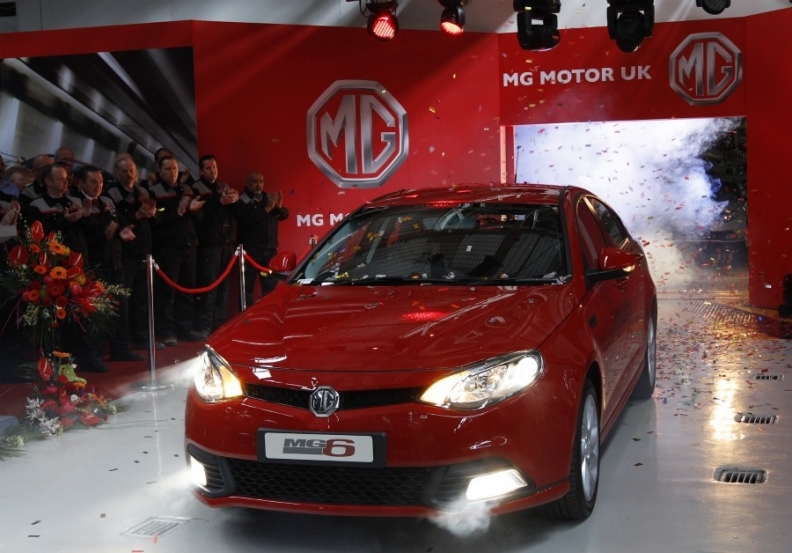 MG launched sales of the MG6 compact car in the UK, the first new car assembled at its Longbridge, England, plant in 16 years, in April. The model will go on sale in mainland Europe next year when a diesel engine is ready. "We will not go into (mainland) Europe without a diesel," said UK managing director, William Wong. The MG3 small hatchback, a roomy, sporty-looking car that's already been successfully launched in China. 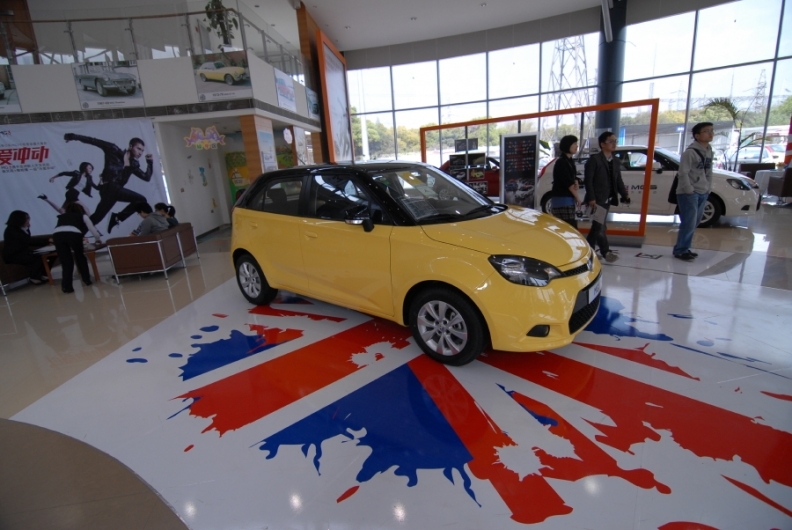 The MG3 will launch in the UK at the end of 2012. Success in the UK will determine the launch date in mainland Europe for the MG3 and the brand's other new models. The MG5, a compact model that will rival cars such as the Volkswagen Golf and Ford Focus. Revealed in concept form at the Shanghai auto show in April, this hatchback will be key to the brand's mainstream revival in both the UK and mainland Europe when it arrives in 2013. An SUV-style crossover will go on sale in 2014 in the UK to rival the Nissan Qashqai. Also in 2014, a replacement will launch in the UK for the MG7, which is based on the Rover 75 developed when MG Rover was an independent company and first launched in China back in 2007. The new hatchback version draws on SAIC's partnership with General Motors Co. in China and will share the Epsilon 2 platform used by the Opel/Vauxhall Insignia, according to Chen Xhixin, SAIC Motor's executive vice president. A replacement for the TF roadster is due in 2016 in the UK. "If you don't have a sports car, the brand doesn't look so robust," Liu Tao, the carmaker's product planning director said. A small EV, based on the Roewe E1 concept, is also planned for a 2012 launch in China. SAIC, China's largest automaker, which sold over 3.58 million vehicles in 2010, will restrict Roewe brand sales to small sedans in China and will export MG-badged hatchbacks, small SUVs and sports cars to markets in Africa and South America, as well as Europe. The two brands share platforms but are increasingly separate in terms of body styling, with MG focusing on European, and more specifically, British design, according to Tony Williams-Kenny, SAIC Motors global design director. "British values are key to what we're doing [with MG]. We've got to make sure those values are fashionable, youthful and on trend," he said. 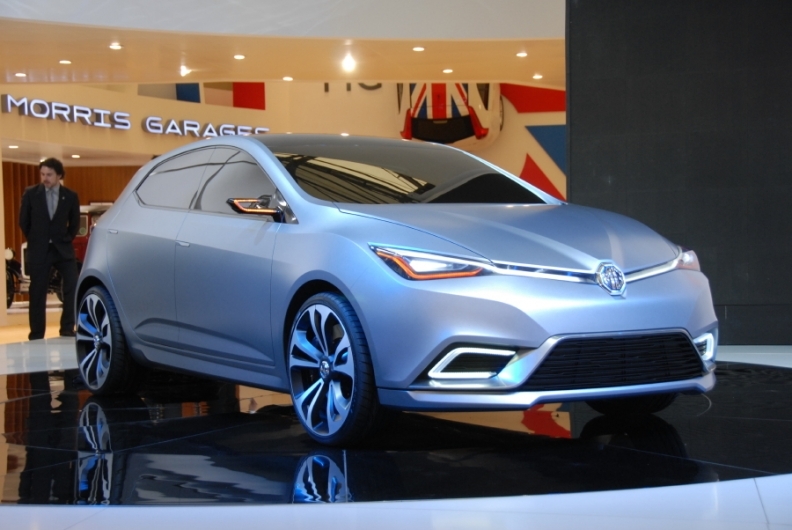 The MG5 was revealed as a concept car at the Shanghai auto show in April. "It's time to fall in love again," was the advertising slogan accompanying the UK launch of the MG6. But MG may have a hard time convincing MG's birthplace that the new range of cars is worthy of the badge. About 80 percent of MG6 production is done in SAIC's three-year-old Lingang factory near Shanghai. And of the new models, only the MG6 will be built in Longbridge. "How we manage manufacturing [in the UK] depends on investment and that depends on sales," Xhixin said at a press event in Shanghai to announce MG's model plans. A MG6 is driven off the production line at Longbridge. MG is building the MG6 in Longbridge using bodyshells, engines and powertrains shipped from SAIC in China. SAIC inherited the plant through its 2007 merger with Nanjing Automobile, which had bought the site after MG Rover, Britain's biggest carmaker, went bust with the loss of 6,500 jobs. MG plans to sell up to 3,000 units of the MG6 this year. The five-door car has a 1.8-liter turbocharged gasoline engine and is priced from 15,500 pounds.